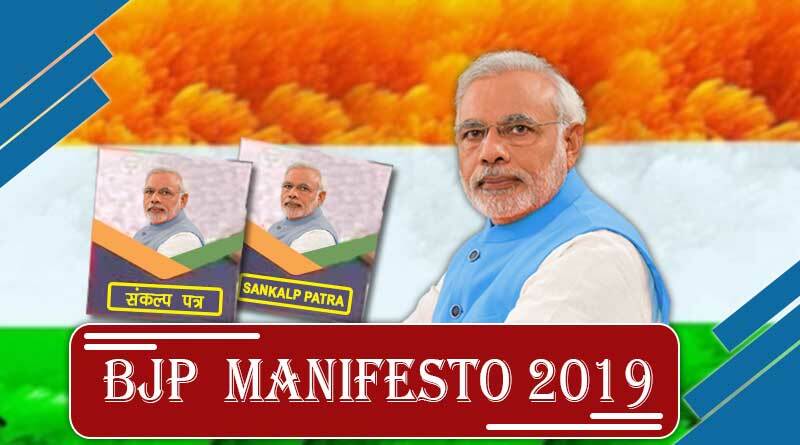 BJP manifesto 2019 – Bhartiya Janata Party released its 48-page manifesto for the Lok Sabha elections 2019. This is the first manifesto of BJP which is released with Modi as the prime minister. Modi released BJP’s ‘Sankalp Patra’ in the presence of party’s top leaders. Home Minister Rajnath Singh said BJP’s ‘Sankalp Patra’ is a “vision document” that has listed the expectations of 130 crore Indians. The manifesto of BJP aspires to make India the third largest economy of the world by 2030. This implies that the party commits to make India a US $5 trillion economy by 2025 and US $10 trillion economy by 2032. BJP will provide short-term new agriculture loans up to Rs. 1 lakh at the 0% interest rate for 1-5 years on the condition of prompt repayment of the principal amount. Government will strengthen the strike capability of the armed forces by equipping them with modern equipment. 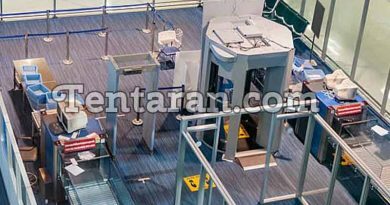 It will take effective steps to prevent illegal immigration in the North-eastern states. BJP are committed to annulling Article 35A of the Constitution of India as the provision is discriminatory against non-permanent residents and women of Jammu and Kashmir. Rajnath Singh revealed to support all farmers under Kisan Sammman Nidhi by providing ₹6,000 yearly income. BJP promises pension for the small and marginal farmers to ensure they have social security when they attain the age of 60. Rajnath Singh said, the free hand policy will continue for the security forces to face the terrorism. BJP promises to spend ₹25lakh crore for rural development in the next 5 years. The party is committed on implementation of Uniform Civil Code. BJP is committed to 33% reservation for women in parliament and state assemblies through a constitutional amendment. Rajnath Singh revealed to set up one Medical College or Post Graduate Medical College in every district, through public or private participation, by 2024. The party has promised to ensure piped water for every household by 2024. Every Gram Panchayat will be connected with high speed optical fibre network by 2022. The party is targeting provisioning of telemedicine and diagnostic laboratory facilities at Health and Wellness Centers by 2022. Bhartiya Janata Party will complete the Phase-1 of Bharatmala Project efficiently and launch Bharatmala 2.0 to support the states to develop state road network. The manifesto states to launch a ‘National Urban Mobility Mission’ for providing technology-based urban mobility solutions to all urban local bodies and promote increased use of public transport, enhance walkability and cycle use. For more articles like ‘BJP releases their manifesto for Lok Sabha Elections 2019’, do follow us on Facebook, Twitter, and Instagram.